This week is Mental Health Week in Canada! Justin Trudeau posted this heartfelt message on his Facebook Page yesterday. Let's speak up to help make sure all Canadians have the care and support that they need, when they need it. 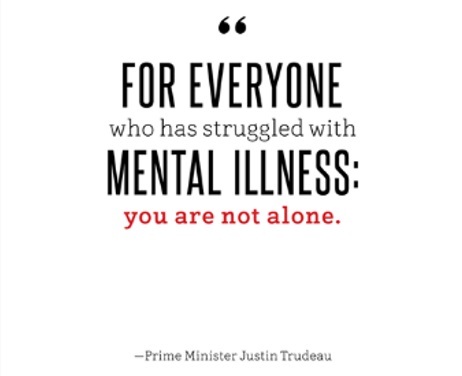 In a statement made earlier Justin encouraged all Canadians to #GetLoud to raise awareness about mental health, an important, but sometimes invisible, aspect of our general health. This year’s campaign, led by the Canadian Mental Health Association, asks us to speak up to make sure Canadians get the mental health care they need, when they need it. Mental health is a core part of our well-being, but too often long wait times or limited services stop Canadians from getting the mental health care they need.